Engineered to work—rain or shine. SPILLTRATION™ products help you control oil-based leaks and spills more quickly and efficiently… saving you time and money. The SPILLTRATION™ System is made from durable, recycled materials engineered to absorb and contain oil-based leaks and drips while allowing clean rainwater to filter through. 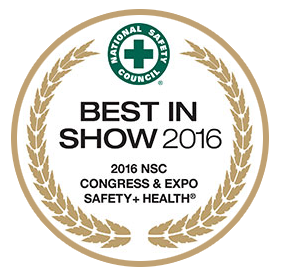 4,905 votes were cast on more than 120 products for the “Best in Show” category at the 2016 National Safety Council Congress & Expo. The showcase provided exhibitors the opportunity to highlight their newest and most innovative safety products, services and technology. Voting was available both online and onsite. Meltblown Technologies took first place for their Spillver Bullet Rapid Oil Spill Response Kit. Unfortunately, the Spillver Bullet has been discontinued, but other exciting products from Meltblown Technologies are available. 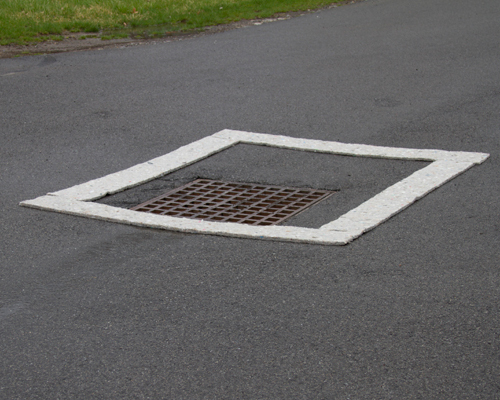 The Spilltration™ Husky liner pads are designed to fit into our Spilltration™ Basins. Like all Spilltration™ products, ultra-thick Husky Pads are engineered for first line of defense for the outdoors to absorb oils and fuels while allowing clean water to filter through. 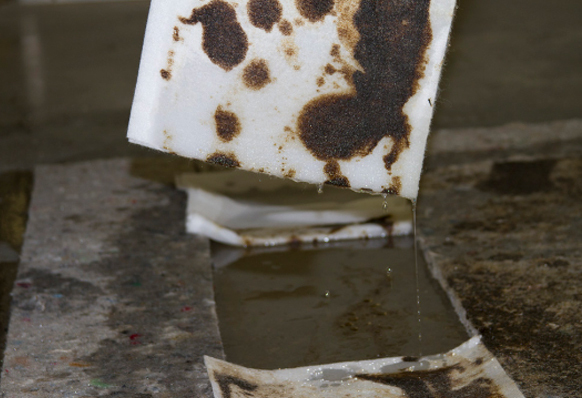 Husky Pads are smoosh-packed to compress and fit in areas up to 80% smaller than traditional oil only sorbents. Spilltration™ Shammy Towels are designed for final clean-up detail on oil-based leaks & spills. Like all Spilltration™ products, super-sorbent Shammy Towels are for the outdoors to absorb oils while allowing clean water to filter through. Shammy Towels are smoosh-packed to compress and fit in areas up to 80% smaller than traditional oil-only sorbents. 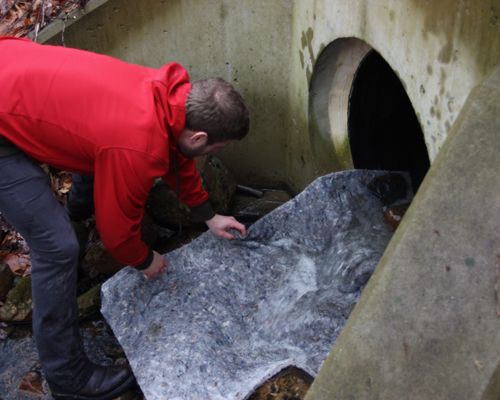 Like all Spilltration™ products, ultra-thick Husky Rugs are engineered for first line of defense for the outdoors to absorb oils and fuels while allowing clean water to filter through. Husky Rugs are smoosh-packed to compress and fit in areas up to 80% smaller than traditional oil-only sorbents. 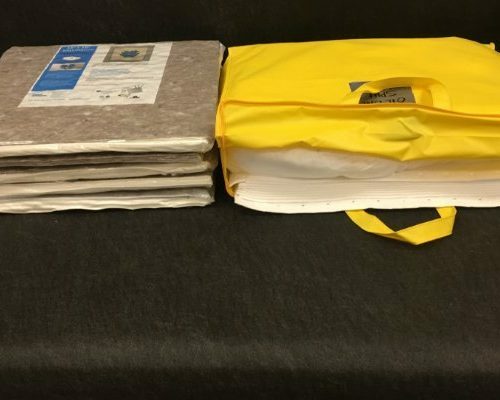 The Spilltration system offers two unique spill response kits. Trucker Spill Kits are designed for outdoor use. Truckers need to be prepared for oil-based leaks and spills (diesel, gasoline, motor oil, transmission and hydraulic fluids). When it’s raining, Spilltration sorbent material capture and hold the oils and fuels while allowing clean, clear water to filter through. The Kit contains all of the materials needed to safely and efficiently clean-up leaks and spills on the go. Each vacuum-packed kit neatly fits behind truck seats, in sleeper berths and utility boxes so you can grab them for quick deployment and stop leaks in their tracks. The Spilltration Cubby Kit is a compact spill response kit that fits in the tightest nooks, crannies and cubbyholes. Like all Spilltration products, the Cubby Kit is designed for the outdoors to absorb oils and fuels while allowing clean water to filter through. Our new SmooshKit™ is all about space savings. MBT’s partner HalenHardey’s patented smooshing technology solves the common space constraints that many fleet and remote industries face. 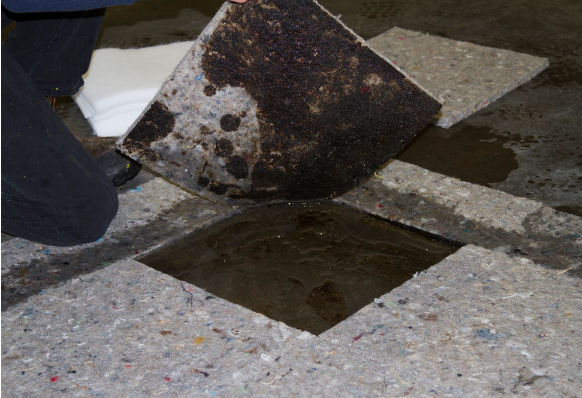 This proprietary process compresses our innovative Spilltration® material into compact packages that can fit anywhere.